I haven't changed anything, but I did switch planes flying with the Carenado Baron now. And no idea why but the GTN750 does pick up the glideslope suddenly. Im gonna test the Bonanza later this week or in the weekend. XPlane tells me right before switching off the Master Avionics: 1536MB of textures loaded (on a 4GB Radeon 290). System tells me 4.4GB RAM in use (8GB installed). Jean-Luc, I have tested this again. I use a .ini file from the forums here that does integrate the GTN70 in the virtual cockpit (but when I tried the one posted above in this thread there was no difference). I start the plane cold and dark, both datarefs you mention have the value 0. Flipping the battery switch turns the sim/cockpit/electrical/battery_on value to 1. I then startup the engine, after which i flip the Master Avionics switch. That makes that the sim/cockpit/electrical/avionocs_on value is set to 1. The GTN starts up, the blank (black) screen comes to live and the unit starts to work (thats also how i have set-up the unit, so this is all correct). After the flight I switch the Master Avionics off, the value for sim/cockpit/electrical/avionics_on changes to 0. I see a quick flicker in the GTN screen, but it does not go to blank. However it does seem to be "off" in that clicking on any of the buttons seems not to do anything anymore. I would expect the unit to really switch off though, meaning the screen would be blank. After that i switch the battery off and that means the value for sim/cockpit/electrical/battery_on is set to 0. Tried with your settings (which are basically the same settings I had but without VC integration). It all does not make any difference. The GTN750 does not pick up the glideslope but remains in ALT HOLD mode. It also does not power off when I swtich off the Master Avionics Settings. I am going to give this one more go: @Jean-Luc: Can you please point me to all relevant folders and registry settings, so I can uninstall the GTN unit, delete every folder and every registry setting associated with the unit and then do a complete re-install of the Reality XP GTN750. Hey Daskal, Thanks for your reply. It is late here right now (the Netherlands here) but I will definitely check your settings versus mine. The scenario you describe is exactly how it works for me if I use the default Cessna 172SP. I descend to the published glideslope intercept altitude using V/S, then the airplane stays at that altitude in ALT HOLD mode with APP mode selected and it will intercept the glideslope. Its also exactly how it works for my in any airplane if I use the default X-Plane GNS unit. However for some reason it does not work in the Carenado F33 (with or without the REP). And I'm puzzled why that can be. I edited my last post, but apparently that didn't come through. 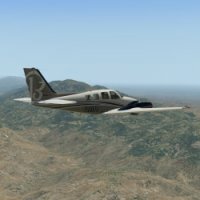 So, I disabled the Simcoders Reality Expansion Pack (REP) for the Carenado Bonanza F33A and tried my same testflight again. Contrary to what I expected, the aircraft did not pick up the glideslope and remained in ALT HOLD mode. And again after landing when i turned off the master avionics switch, the GTN750 unit was not powered down. So a summary: Carenado Bonanza F33A with REP: GTN750 does not pick up the glideslope. GTN750 remains powered on after switching off master avionics Carenado Bonanza F33A REP disabled: GTN750 does not pick up the glideslope. GTN750 remains powered on after switching off master avionics Default Cessna 172SP: GTN750 picks up the glideslope without any problems. All three aircafft: Using the X-Plane default GNS430 unit they all pick up the glideslope perfectly. I have no idea what's going on, but it is getting a little bit frustrating by now. 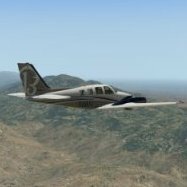 I really do not want to be limited to default X-Plane aircraft using the GTN750. I bought it (same reason I bought the Carenados with the REPs) for added realism. Second and third test were also negative, the GTN750 did not pick up the glideslope. After that I could only conclude that is most probably has something to do with the Simocders Reality Expansion Pack that I am using for the Carenado planes. So, I decided to load up the default Cessna 172SP and activate the GTN750 unit. I flew out, loaded and activated my approach (I keep flying the RNAV GPS RWY24 into Monauk, KTMP) and the GTN750 had no problems picking up the glideslope this time. Preliminary conclusion seems to be that the GTN unit does not work correctly with the Simcoders REP. To test that further I am going to disable/uninstall the REP pack for the Carenado Bonanza F33A (my original aircraft that had problems) and try again. I'll keep you posted. And then the next test flight it didn not pick up the GS again. I must be doing something wroing, forgetting something (if you do a "Load and Activate Approach" could it be that you need to Activate it once more from the Flight Plan page maybe?). Anyway it worked the previous flight to the unit is fine (although it does still not swith off with the Master Avionics switch after landing, but thats no big deal). So I am going to repeat these flights and see what does/does not make it work. No problem at all Jean-Luc, the Reality XP units are great addons, so if I can help figure out why this is happening it might help to make the product even better. I'll keep posting my findings. This seems to have done the trick. In a testflight right now and the aircraft ( Carenado Bonanza F33A) did pick up the glideslope perfectly! Great help as ever, much appreciated! I cannot enable the Audio Panel. I think that is because in the VC the GTN is placed over the top of the default Audio Panel and the GNS430 default unit. I dont have time for test flight now, but will check later with the "connect GPS to VOR indicator" unchacked. Would be nice to see the GTN settings of someone that does not experience any problems. The only thing i could think of is the one addon that is stil running, which is X-Camera. For a test flight I can try to switch it off. Also the GTN was not integrated by default in de Carenado Bonanza, I had to download an .ini file from to forums here to make that work. I assume the ini file is just to make it visible and cannot mess with the way the GTN actually works. I have not tested this in my current setup after re-install because I really want to keep it as minimalistic as possible for the tests, but before re-install this same problem occured in any aircraft that I used the GTN unit in. Meaning this Carenado Bonanza F33A, but also the Baron B58 from Carenado. Now thinking of that, I do/did have the Simcoders Reality Expansion Pack installed for both these aircraft. Could that be a problem? (Although I am pretty sure I'm not the only one using this combination, the REP brings so much extra to the Carenado aircraft). Ill be doing another test flight this week and will let you know about the datarefs you asked me about. How do I check the values for these? As always thanks for the answer/help Jean-Luc. The airplane is the Carenado F33A BONANZA which according to the Carenado website has "Support for RealityXP's GTN750* (integrated into 3D cockpit, when available)." I intercept the G/S from below indeed in ALT HOLD mode with APP mode active. The autopliot should then pick up the glideslope and announce GS mode when it does. I have just tested this in the same airplane with the RealityXP GTN750 switched off (which means using the default X-Plane GNS unit) and that works perfectly just as described above. WIth the GTN750 enabled however the G/S is not picked up, the airplane just stays in ALT HOLD mode I have also noticed that even while the RXP GTN750 unit is tied to the Master Avionics bus, it will not switch off when i switch off the Master Avionics after landing/parking. Second test flight, same result. The plane does not pick up the G/S. Approach selected and activated in the GTN750. Speed 90 knots, flaps down 1 notch, gear down, APP mode active, ALT HOLD at published altitude, LPV indicated on the GTN750 screen. I see the G/S indicators moving down on the HSI, but the plane does not react to them and just remains in ALT HOLD mode. This is a new and fresh install of X-Plane, all aircraft and the GTN units. Downloaded all the latest installers. The only plugin that is active is X-Camera, I assume I am not the only one using X-Camera and the GTN unit.